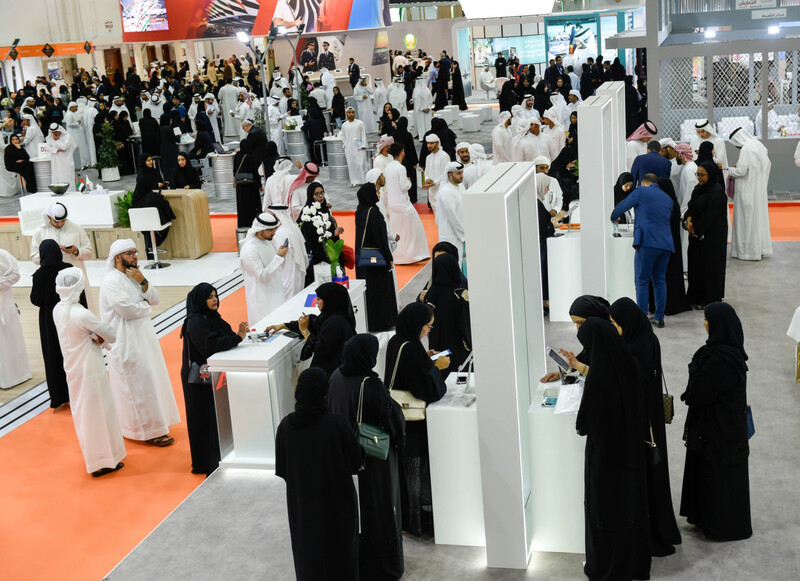 Dubai: Top companies in the UAE said they are on track in providing more Emiratis with the right work opportunities and training programmes to join the private sector, with many on-spot interviews taking place at the Careers UAE exhibition at the Dubai World Trade Centre. 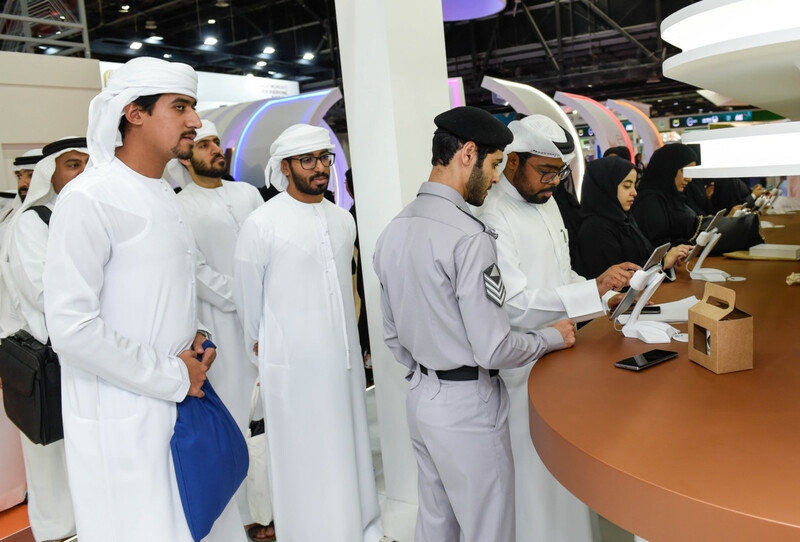 The three-day exhibitions opened yesterday (March 19), two days after the announcement by the Ministry of Human Resources and Emiratisation that over 30,000 jobs in the private sector will be made available to Emiratis in 2019. 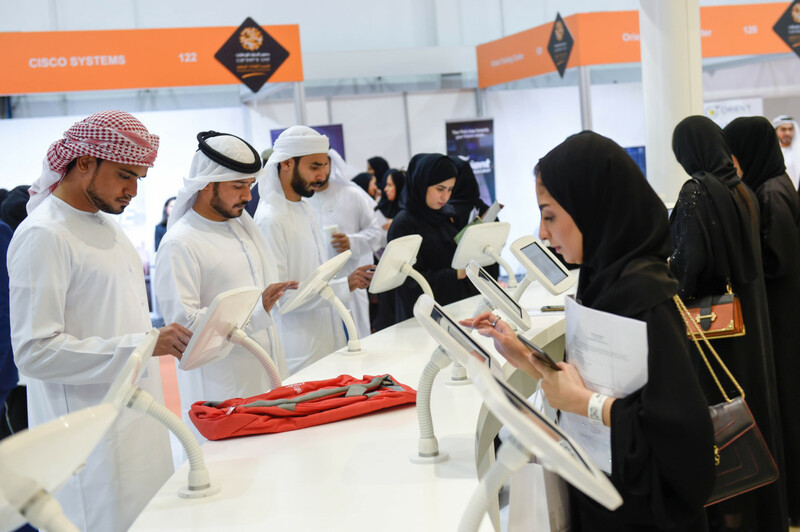 With over 18,000 job seekers expected to attend the exhibition, employers are looking to not only meet and recruit young Emirati candidates, but to facilitate training in new applications and workplace skills. 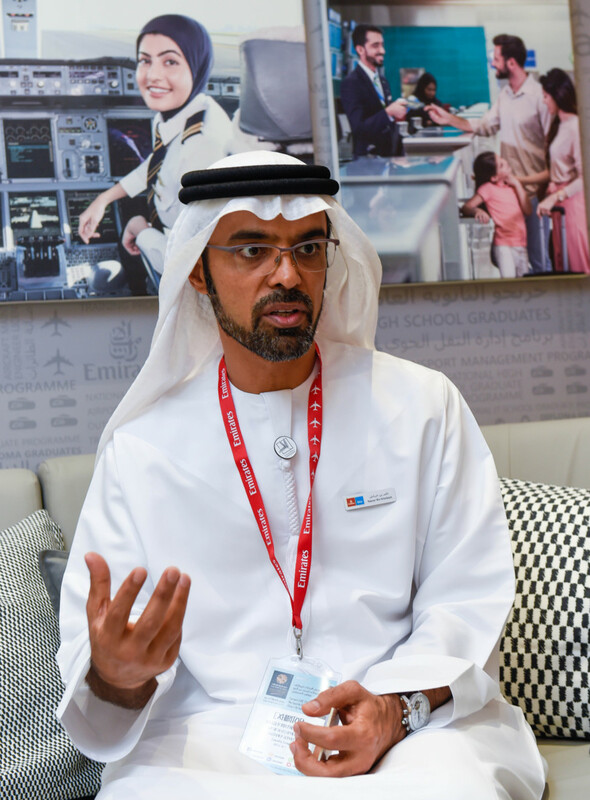 Emirates airlines said they are working hand in hand with the ministry and are offering a range of training programmes for young Emirati high school and university graduates. Nasser Bin Kherbash, Divisional Senior Vice-President of Human Resources Development and Employee Services at Emirates, told Gulf News the Emirates Group has reached a total of 3,000 Emirati employees in recent months and will continue to find the right local talent for vacant jobs. “We don’t only seek to recruit local talent, but we are also checking what the market offers us and what the appetite for Emirati job seekers is- and based on that we are developing training programmes,” said Kherbash. He added that among the common challenges in recruitment is finding candidates for shift-based jobs, bilingual skills and those interested in joining the cabin crew field. Meanwhile, Amira Al Falasi, Vice President of HR Talent at Emirates, said the company will continue to target Emiratis for their programmes, with this year’s vacancies seeking 100 pilots, 30-50 engineers and 20 employees in the technical division. “Emiratisation is a very integral part of what we are doing and is a concept we live with and not a quota we are trying to fill. In general we have the flexibility to inject talent whenever we need it depending on market dynamics,” she added. The Emirates Group currently has 600 Emirati pilots and over 300 engineers, with 50 per cent of its senior management also being Emirati. Telecom operator Etisalat is also planning to fill over 100 positions in 2019 with Emirati candidates, mainly in technical fields such as engineering, IT, and marketing. “Out of 100 jobs, at least 50 per cent will be filled with fresh Emirati graduates. We are looking for top-of-the-class graduates and even carrying out on-spot interviews for those with high GPAs,” said Ahamd Al Doobi, Vice President of Talent Management Human Resources in Etisalat, during the exhibition. A 15-month training programme is also available to Emiratis who will have the opportunity to learn about the different divisions at the company with a chance for a permanent position. “Almost 48 per cent of the work force in Etisalat is Emirati, with over 700 Emirati female employees, which makes up more than 70 per cent of the female work force in the company,” added Al Doobi. Majid Al Futtaim is also offering training to Emirati graduates with under two years of experience through their ‘Tumoohi’ programme. “When we talk about Emiratisation, we are talking about a long-term plan that the company started many years ago by creating the right platform and offering jobs to local talent,” said Fuad S. Mansour Sharaf, Managing Director, UAE, Bahrain and Oman Shopping Malls. He pointed out the company is undergoing a digital transformation, and will be looking for top local talent with the willingness to learn and the dedication to join the private sector. Meanwhile, the Roads and Transport Authority (RTA) is also aiming to recruit young citizens in support of the Emiratisation drive. At its stand, RTA is offering a wide range of posts in engineering, financial, investment, internal audit, administration, information technology, strategic planning as well as quality, health, safety and environment fields. Directors at the authority are also present at the exhibition to conduct instant interviews of potential applicants. “There is also Edaad (Grooming) programme, which qualifies and trains several Emirati graduates and offers them placements at RTA,” said Mansour Al-Falasi, Director of Human Resources & Development at RTA’s Corporate Administrative Support Services Sector. The two-year programme ensures the deployment of well-trained Emiratis capable of contributing to sustainable development. Al Falasi added the Emiratisation of leading posts in RTA have amounted to 95 per cent, while the overall Emiratisation of jobs has reached 87 per cent. 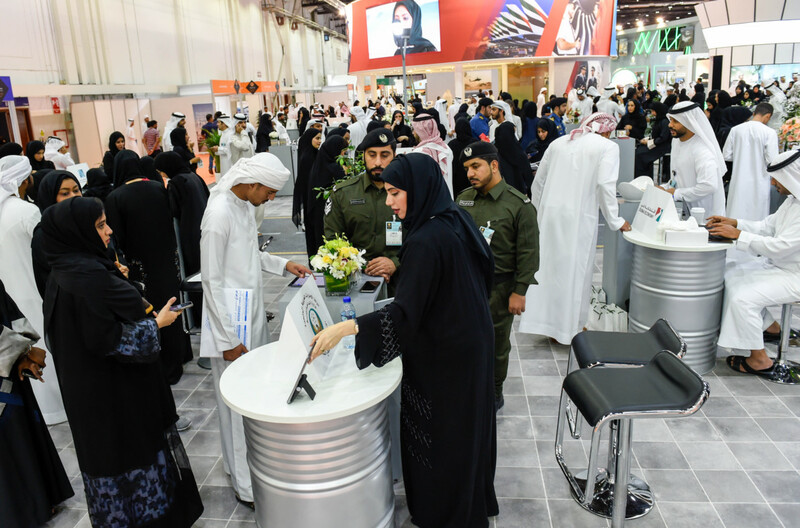 The 19th edition of Careers UAE is hosting over 100 public and private sector companies, with a high number of Emirati high school and college graduates looking to begin their careers. 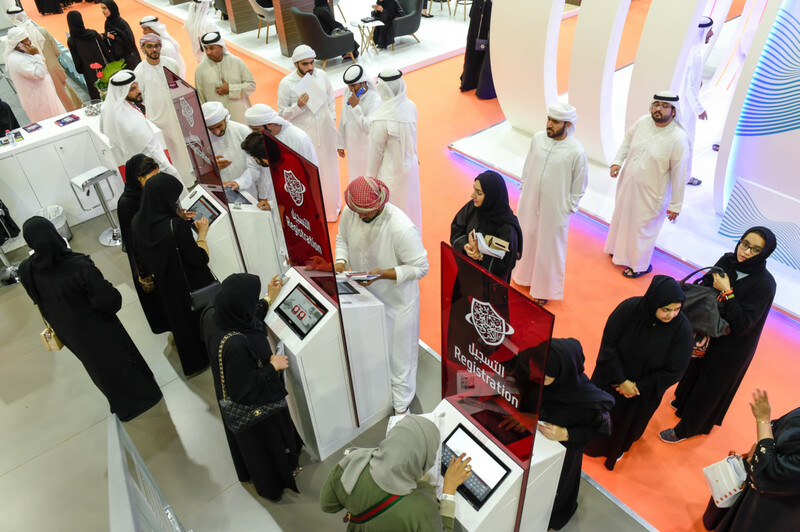 The exhibition is providing young Emiratis with live video training sessions on how to successfully participate in a video interview as well as CV clinics to help applicants build stronger resumes that attract potential employers. Several speaking panels where experts share tips for starting professionals and those looking to re-enter the workforce, are also taking place across the three days. Emiratisation of leading posts in RTA has amounted to 95 per cent, while the overall Emiratisation of jobs has reached 87 per cent. Dubai- While the UAE is evolving into a test bed for global development of artificial intelligence (AI), recruiters at the Careers UAE exhibition taking place at the Dubai World Trade Centre (DWT) are also seeking tech-savvy ways to impress candidates and simplify the hiring process. 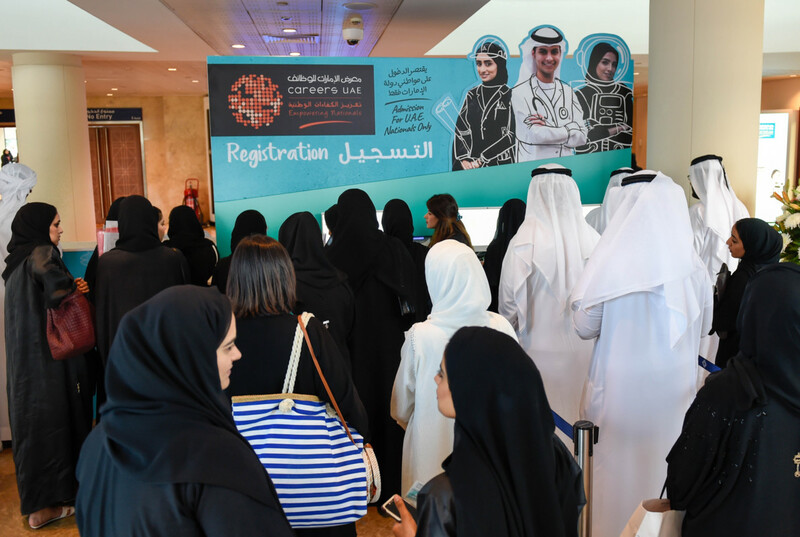 With over 100 private and public sector companies taking part at the event, a total of 18,000 Emirati job seekers are expected to turn up between March 19-21, with the hope of landing the right job. However, for the first time, visitors will be able to upload their CVs onto their show wristband as they enter the show, ridding them of the need to print out dozens of resume copies beforehand. Exhibitors can simply scan the wristbands and receive the CVs electronically, spending more time conversing with potential candidates. 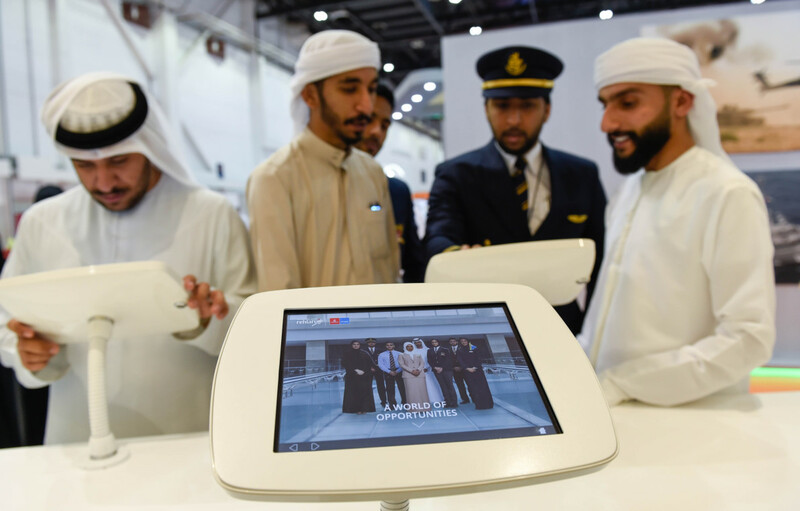 Oliv, a recruitment company that focuses on helping fresh graduates launch their careers, told Gulf News they are offering candidates the chance to view the work environment in a number of companies offering job opportunities at the exhibition through a virtual AI tour. “If a candidate wants to know what it would be like to work for one of the eight private sector companies we have here today, all they need to do is put on the headset to get a VR tour of the workplace,” said Jean-Michel Gautheir, CEO and Co-founder of Oliv. He referred to the CV wrist band as an easy way to exchange information and contact detail with recruiters in a world that is increasingly becoming technology-based. Considering that 45 per cent of jobs are now changing due to AI, key exhibitors are also forecasting major shifts in employment opportunities. Many exciting careers are opening up in telecoms, machine learning, robotics and the ‘imagination’ skills of media, content and conversational computing. Bloovo, the online job site for professionals in the Middle East is using AI along with algorithms to match candidates to jobs. “We are seeing that 70 per cent of a recruiter’s time goes into scanning CVs, skimming through them and shortlisting potential candidates — here is where AI comes into the picture,” said Amin Sarieddine, Senior Territory manager at Bloovo. AI shortlists candidates for recruiters by matching their total criteria percentage to each available position. “AI looks at 32 data points including skills, experience, nationality, age, and gender, and analyses it based on the rest of the data pool,” added Sarieddine. He explained that future plans include gathering a large amount of data that will facilitate companies to carry out behavioural analysis to better understand the types of candidates and the best criteria that will result in successful employees.